There’s currently plenty of commotion regarding micro-transactions in video games, and now a ruling by German courts means vague release dates for pre-orders of video games are no longer allowed. According to Heise, and verified by Eurogamer.de, the ruling came after a local consumer protection group raised the issue with the courts. The case originally stems from when a claim was made against German retailer, Media Markt, over a pre-order of a smartphone in 2016. It essentially means shops in Germany can no longer offer pre-orders if the phrases “coming soon” or “available soon” are associated. Now pre-orders must list the latest date by which a product will be delivered. This ruling applies to all products, including video games. This appears to be another step in the right direction, given the fact retailers are not always transparent when listing products ahead of release. It would be great to see other countries eventually adopt this rule, as right now, there are plenty of stores worldwide that make pre-orders for video games available as soon as announcements are made. What, now we're not getting Dark Souls in 2030??? Darn you Germany!! They did this on Amazon Prime Day... how wonderfully ironic. Good thing the German government is taking care of the important issues facing their population. I don't really see a problem with this pre-ordering things before a date is announced, I did it with Smash Ultimate from Best Buy even before it had a name. Also things like the Solaire amiibo are sold out before there is even a date announced. So what if you can pre-order something before a release date is said? If such a rule appeared here in Brazil retailers would just start creating fake dates and then say it can delay. I don't see the point of this. If you choose to pre-order something that you don't have adequate information on, that's your problem. Notice it's always the yanks that take issue with anything done to protect the consumer? I’m all for anything that is meant to protect consumers. So if this decision does so, then yay! I am genuinely curious as to whom or how this practice negatively impacts or affect consumers. Again, I’m not saying it doesn’t. But just curious as someone who has doesn’t really preorders things and only really preordered three items in my 35 years of life (the original Pokémon Silver, Super Mario Odyssey and the Pearl/Marina amiibos, all with good experiences ). Boo big government. You're a parasite to businesses. I agree with this ruling. Preordering an item with a vague release window (if at all) is not good enough for me. I need a definite date before I go to the game store and put in my preorder. I don't mind if the date is pushed back somewhat as long as it is still a definite date. Good and all, but with something like Dark Souls on Switch that had a date and now it doesnt, what would that mean? All preorders cancelled? That would be a shame if you preordered a very limited edition version of a game, got pushed back to TBA, then you lost your chance to own said limited edition. I don't see this changing anything, as it is extremely easy to circumvent. I foresee retailers just listing a conservative date estimate to get around this, until they get confirmation from the publishers. A lot of online retailers do this now anyway. Business will go on as usual, unless there's some fine print I'm not seeing that would cause trouble. A small bit of good news is still good news. @shaneoh An argument can be made about government overreach. The government of a lot of countries has tried to, or already do, justify strict censorship of games as "protecting the consumer" already. Which I disagree with vehemently. Also, once a government enacts a policy, they're very slow to change or amend it without significant pressure. So it's always in the back of my mind when governments step in to regulate virtually anything. Gotta read the fine print and be skeptical of everything a government does. Especially in tech right now, as most politicians are still ignorant on the details. Because, and not to be ageist, a lot of them are old people who probably never played a game. It'll be awhile before at least some basic tech experience is a given in most countries. Granted, we should also keep an eye on big business and call them out too. I just don't like to give governments the power businesses wish they had. @AlternateButtons Good! Business should be shackled! It has far too much power and influence as it is! Yeah. I preordered Dark Souls amiibo on GS and they already took the deposit. It was supposed to be July right? Almost forgot about it. Must admit, this is a good move. The commercial side of the gaming industry has been taking liberties for years! @shaneoh Notice it's always the euros who unquestioningly embrace every government action? Calling this a win for consumer rights makes no sense? The right to pre-order a game the moment it was announced was taken away from the consumer. Something that was always optional, you could have just waited until it had a release date announced. List date as a year from when actually expected. When it ships early, you are now just really good at delivering early. Stupid really. Just let people do what they want with their money. I'm confused. I live in the US and I pre-order anything I'm planning to pick up through GameStop. I know the majority of the u.s. disagrees with my ideas, but I've never had a problem regarding this. 5 US dollar down payment, ability to pay it off over time, and ability to cancel prior to or even after the game comes out. I don't see any point in this actually being so difficult. Is it significantly different than Germany? Are they not able to get their pre-orders cancelled if they don't want them anymore? You know what's annoying? Bogus dates and bogus prices. Like Dark souls 2030, or a special edition that costs 300 Euro (I have seen it happen). Why can't they just say: Price and date pending? That would have been honest! Well guess I'm avoiding Germany for pre-orders then. Couldn't care less whether I know the release date... As long as it arrives on whatever day it is, there's no issue. Well this an perfect case of over protection. Except, in the end, this has no real benefit to the government. It's not even exclusively about video games, it covers all goods and services. I'm sure I would if that were the case. @Seanmyster6 Yeah, the Europeans are not known at all for protesting. Thank you for the update on your situation. The news like this just baffles me sounds like this might be related to Nintendo possibly being in hot water over the digital pre-order not allowing cancellation. But if this is related, it drastically misses the mark. This would cover physical sales not digital sales. This would cover games not completely announced, which doesn't really cover digital because they only have pre-orders happen with a set date. And if they allow cancellation of pre-orders then it completely misses the target discussion, if the two are related of course. I understand when governments get involved when practices are targeting children, but are we not allowed, as adults, to screw something up for ourselves? Just trying to understand this awkward situation, trying to think of a comparison. It's not my state, but this is the equivalent of California banning the export of bottled water because the state frequently gets forest fires from not enough rainfall. Utterly confusing. This would only bother me with pay up front (in any form) pre-orders. As it is, I never pre-order from anywhere that charges up front, I mostly pre-order due to the price promises that mean you usually end up getting it at a better price than you'll see again in the first few months after release. @shaneoh I was making a general statement about why "Americans" might be a bit obsessive about government regulation and government overreach, in response to your silly generalization of Americans. The US is a huge place with over 300 million people with widely varying opinions, by the way. As for this specific law, I basically stated in my first post that I doubted it would have any tangible effect either way, barring some tricky wording in the law. I was just making a point that government regulation is not inherently good. There needs to be sound reasoning behind it. That's stupid. I want to preorder certain games even though I don't know when they arrive. Many retailers give decent discounts for preorders for such games. I like it. I would support having to clearly state that release date is uncertain, but to ban the entire concept is totalitarian bull! A placeholder date isn´t a circumvention dealers can use, because the regulations says that a definitive delivery period has to be given. You can´t just write 2019 or a fake date like 31.12.2020 when the game will realistically released at 11.10.2019. Dealers have to wait until at least the specific month and year is known until they can start pre-orders. That´s a good thing because dealers often even book money for pre-orders, reservations or the full price even if the game is just pre-ordered without a concrete release date or without knowing anything about the game other than that it exists in the offices of the developers. That´s money trading without an existing product. Actually, Feel happy about this! @EasyDaRon Since this is the case, I'll amend my previous statement. I can understand, in the case where they take partial or full price from the consumer, that a solid date should be required, or that they should make it painfully obvious to the customer that they don't know when it is coming out. (Then the consumer can make this decision with proper knowledge) But I think it should stop at that. I feel that going further is unnecessary. I also think this should not apply to retailers who don't actually take your money until you pick it up, or it is shipped to you, and give you a reasonable method of cancellation. I understand some might see Amazon as an evil corporation, but I find their pre-ordering to already be VERY consumer friendly, in regards to videogames. I like being able to reserve a copy, and lock down the price, well in advance, so I don't have to worry about it. I worry that laws like this could shorten pre-order windows and unduly inconvenience me as a consumer. It would be more logical to ban all pre-orders that are charged before shipping. And again, crowdfunded games are equivalent to pre-orders and are usually released years after the original release date so they should also be banned (I'd support it 150%, screw early access and crowdfunding). @Heavyarms55 Last I checked, companies dont force you to buy their products. Companies dont have any more power than you do over your wallet. Dont want to preorder a game? Then.....dont. Its that easy. You talk as if a company is just one rich dude at the top, sucking up money but in reality, a company is a team of workers with families to feed. Government should stay the hell away from that and stop regulating them into the ground. This is an unnecessary regulation that only makes it more difficult for companies to make money. That's NOT a good thing. I'm sorry but this rule is pathetic, What difference does it make if you want to place an order for something without a delivery date. I don't see many companies given exact dates, and would they be braking this same law if they just delivered something to you on the wrong day!!! Typical politicians, when you have a situation where you cannot cancel a preorder (which is wrong), they ignore that and make a rule elsewhere! @AlternateButtons Lol that's cute man, you do you. But I am gonna stop for now because this isn't the time or place for that discussion. I shouldn't have started it here in the first place. I don't think this is a good idea, all this is going to do if it becomes more widespread is cause more games to end up like Crackdown 3 where it's indefinitely delayed. The term pre-order seems meaningless, and has done for for over 15 years for me. Amazon don't take money until they send it, can cancel anytime, and I pay the lowest price they were ever advertising it for, even if the price goes up by the time it comes out. Often get stuff the day before release/it's in stores too. Not sure why anyone would give a physical store money to pre-order in the old sense anymore. Just written this on Push Square- but I wonder if this affects Kickstarter? If you back a kickstarter you're essentially ordering a game before it's started production. there is actual sense to this ruling. It is to stop trading for goods that may or may not exist in the future. Personally I don’t preorder with companies that take money up front so this won’t affect me as companies will just take reservations anyway which is basically all that amazon and co do at present. This will actually protect us from dodgy preordering money laundering. (I say us although I’m not German). You’ll still be able to reserve games as soon as they are announced. 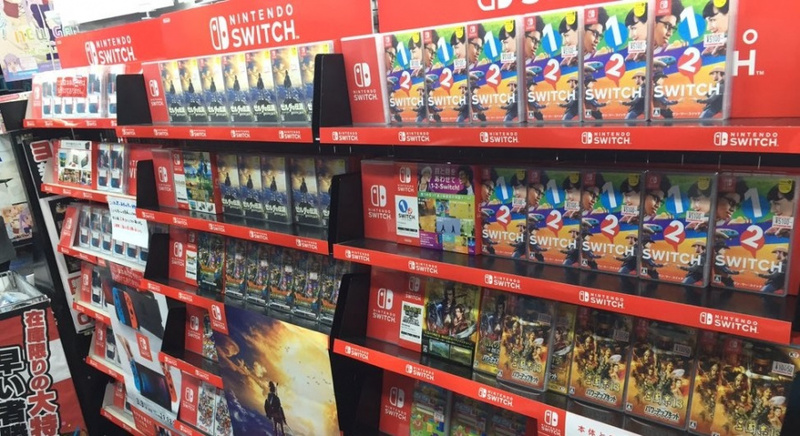 "It would be great to see other countries eventually adopt this rule, as right now, there are plenty of stores worldwide that make pre-orders for video games available as soon as announcements are made." How about no. No. No no no no no. No. I'll pre-order as early as I like, thank you very much. God forbid someone decides they want a game before they know a release date. Do you have to put money down for pre-orders in Germany? If so then I can see the logic behind this ruling. It stops companies either holding your money ransom or it disappearing if everything goes south. Many countries have rules about clear timescales for the fulfilment of paid goods and services which can then be used as actionable in small claims court and the like. However every pre-order I have ever done (online and instore, in the UK) is essentially just putting your name on a list. It means you get regular updates and if you either loose interest, the item never comes out or the company folds you have lost nothing. I could see regulating against this type of pre-order as heavy handed. @MrGawain Probably not. Kickstarter specifically is funding a cause, without a definite guarantee of you getting a return on your investment. All of the MERICA YEEHAW pundits come crawling out of the woodwork again, not reading a single word of the article but the title (which is already entirely misleading in itself), equating one European country with Europe (or the EU), equating a court decision (a regional court at that) with a law set by the government, equating consumer rights with government overreach, not knowing the slightest thing about German law, ... Please go away. Doesn't this just kill off pre-orders completely? Even if a game is due out in a couple of weeks it can still be delayed, and the retailer can't do anything about that. Let's face it preorders, especially digital preorders have no purpose unless there's a discount attached. If you're putting a preorder up for a game that you don't even know when it's shipping, you probably shouldn't be taking orders, and consumers preordering something that they don't even know what it is, or when it will be made, are operating on compulsion and impulse rather than reasoned purchases, which is the whole point of offering it to them. This isn't an unreasonable requirement at all, but it is fairly arbitrary. @astrofan1993 then why do you need the government to force others to not pre-order if you don't want to? @Heavyarms55 how is this good news? I mean I understand the guise is to protect the consumer. But what is it protecting the consumer from? Let's say the game is cancelled, then the consumer gets their money back, the game is delayed the consumer still gets their game once it's released. I think a law that would protect the consumer would look something more like "if the consumer pre-orders a game the business must provide that game at the release date." A couple times in my life I've pre-ordered games and only received them a week or a month after release. @GrailUK how is this a good move? What is it actually protecting consumers from? @Cheez No governments were involved in this decision, learn to read. To be honest we are getting lots of rights in EU which is really good. No, I don't live in Germany! @c2017nlifemedia "Article 92 of the Basic Law establishes the courts, and that states that "the judicial power shall be vested in the judges; it shall be exercised by the Federal Constitutional Court, by the federal courts provided for in this Basic Law, and by the courts of the Länder." @Cheez It protects the consumer from misleading advertisements and listings. Companies should be clear on what they are offering. Yes, it's the consumer's fault if they choose to make the vague pre-order, but it's also the J-walker's fault for walking into the street and getting hit by the car, but the car driver is still often at least held partially at fault. @AlternateButtons Not in the slightest, if you would like to have this conversation where we wont flood a public comment section on a video game site, by all means, lets. I simply realized that it's not ideal to do so here. But yes, I was being patronizing because I do find your stance ridiculous, so if you would like, let's take this to discord or something. @ryanator008 Well, sometimes you need protect people from their own stupidity. It's why seat belt laws exist, for example. @Heavyarms55 Thanks for the response. But, what do you mean by "misleading advertisements and listings." If someone goes to a store and preorders Metroid Prime 4 would that fall under misleading advertisements to you? Personally I don't think that would be misleading, they are offering a game that Nintendo has promised. I guess worse case scenario seems to be Nintendo backing out of their promise and the store giving you your money back, assuming it's a store that requires money for a preorder. Personally having a store promise to let you buy a game on the day it's released, as long as it is eventually released, doesn't seem very misleading of the store. Maybe I am missing part of your point of view though. @Cheez It would be considered misleading if the game company decided to cancel the game. Look what happened to Star Fox 2: it was cancelled shortly before its release, despite being completed, and wasn't officially released until just last year. So anyone who preordered a game, only for it to get cancelled, was probably just swindled out of their money, unless the retailer they placed the preorder with gave them a full refund, and even that's up in the air, depending on the retailer. @astrofan1993 I don't know any stores that both take money for a pre-order and don't allow returns for pre-orders. But I only know about physical pre-orders. Are you referring to digital ones? Even to preorder the switch I didn't have to put money down. Again that is a physical item though. @Cheez First off, sorry this is getting to you so late. Internet connection where I currently am is somewhat slow. In any case, I don't know where you live, but where I live, we have to put down at least $5 USD to make a preorder on a game. I believe for a game system, the minimum down payment is $25 USD. That's the case for pretty much every store: GameStop, Best Buy, etc. And I am referring to both physical and digital purchases, but mostly physical. I'm not much for digital purchases. @astrofan1993 No worries. I live in the US also. Pre-ordered my Switch, and Wii U at Walmart for free. And I preorder all my games at Amazon for free... Plus I get the extra 20% off with prime. I guess I didn't realize those other places charged for pre orders since I haven't put money down for anything in years. But from what I recall, the last place I did put money down was Target, before I had prime, and they gave me the option of putting 1 cent down. So the real investment there was the gas I had to pay for. All that being said. I'm 90% sure best but takes returns on pre-orders. They did when I pre-ordered like Warcraft 3 or something. Does GameStop not do returns on their pre-orders? I do know they're pretty sketchy, like opening new games to take out coupons and selling them as new. So I wouldn't be surprised. But I'm curious, do they not refund pre-orders? @Cheez I almost exclusively preorder my games at GameStop, especially since my local Best Buy closed down last year. They charge a $5 minimum to preorder a game, but I don't know if they allow refunds on preorders, especially considering I never cancel a preorder. But yeah, I've heard about their sketchiness, but so far, I have had no trouble with my local branch. They've always treated me very well there and were always very friendly to me, and almost never tried to push me to purchase or preorder a given product.